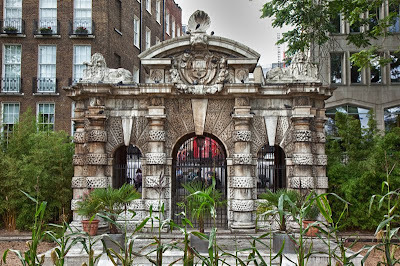 Tucked away in Embankment gardens these gates once in front of York House leading directly onto the Thames. York House was one of the mansions on the Strand built around 1237 for the Bishops of Norwich. Although it was not known as York house until 1556 when acquired by the Archbishop of York. 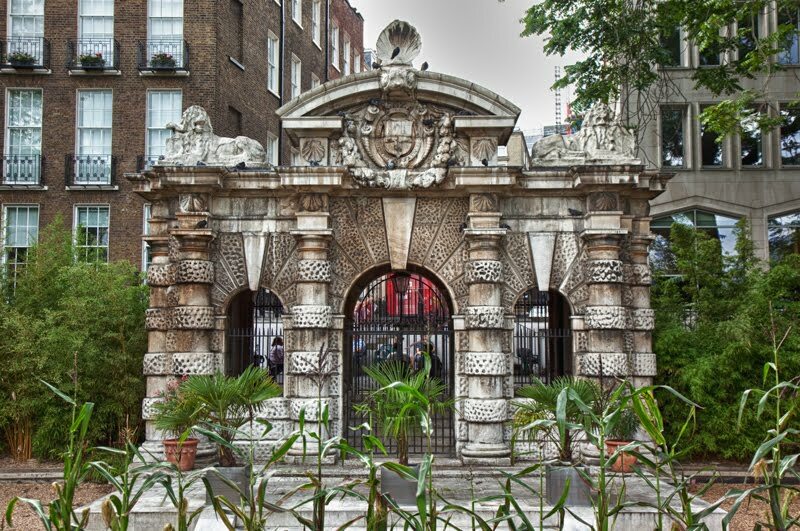 The water gates pictured here were an addition in 1626 during the period the property was owned by George Villers 1st Duke of Buckingham. Construction of Embankment in Victorian times meant the gates were no longer on the Thames banks. Where York House once stood is now modern office buildings. The gates do seem a little out of place but are a reminder of what once was here. Good historic picture this. That is the type of thing that gets removed when your back is turned. I love it when they at least leave a little reminder of times gone by, we have a few arches that once stood in front of very interesting old buildings that were knocked down and unlike you guys in UK and Europe we don't have that many to lose!! Nice shot Mo. Never seen them before. Looks like Henry VIII could have been welcomed through them - they are so grand. What wonderful design on these gates. You are so right, they don't match the buildings behind very well but, they certainly are worth keeping as a reminder of what was there before those more modern structures. Lovely! I would have left the mansion too, but I suppose it must have burned down at some point as so many palaces and grand houses in London did! The gates are absolutely spectacular, Mo. At least they survive. This is a nice shot. Is it HDR?